Place calls using your Google Voice number rather than your mobile number – enter number directly, select a contact from your device’s contacts, or call back any number in your history. Send and receive text messages (SMS) from your Google Voice number. Listen to voicemails and recorded conversations right on your device (allowing you to pause, rewind, or fast forward to any point within the message) – voicemails will also show the transcription of the message when available. Mark messages as starred, attach notes to conversations, block/unblock senders, or delete conversations. Easily search in your history by contact, message, or note content. Quickly change various Google Voice account settings (call/SMS forwarding, do-not-disturb, message notifications, …) directly from within the application. Automatic checking for new messages while the application is active. GV Connect stores your account password securely in your device’s keychain for faster login when launching the application – communication is done via secure connections (SSL) to the Google Voice servers and no contact information (other than the contact’s phone number which is required to place a call or send a message) is sent to Google. 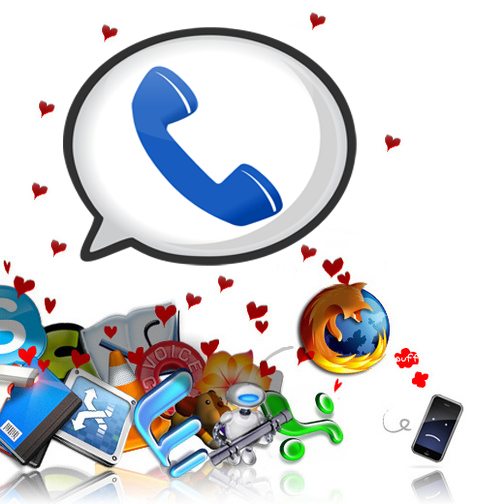 All operations are fully synchronized with your Google Voice account. GV Connect is available on the iPhone App Store (requires iPhone 3.0 Software Update and existing Google Voice account).